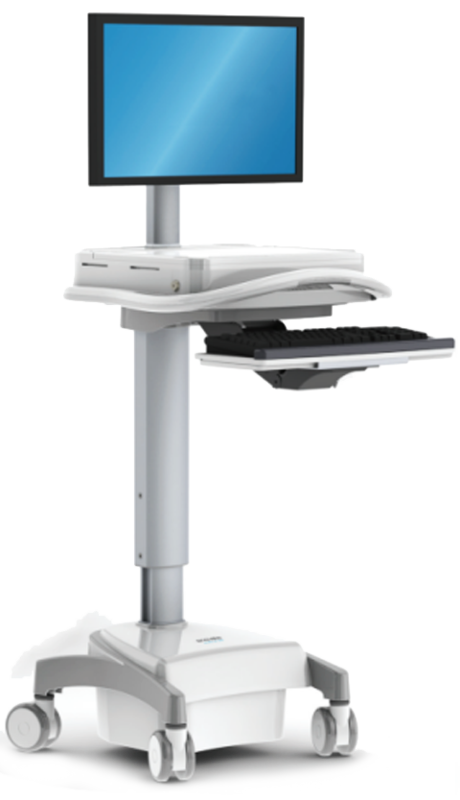 This Mobile Computer Cart has been designed to be comfortable and ergonomically correct whether you are pushing, pulling, sitting or standing. Effortless to manoeuvre in any environment. Straight-line mobility ensures better steering control. All medication is securely stored to help prevent theft and misuse through key and electronic locks. The EMC PC Cart is small and lightweight. It is great for infection control and perfect for use on wards and many other areas of the hospital.